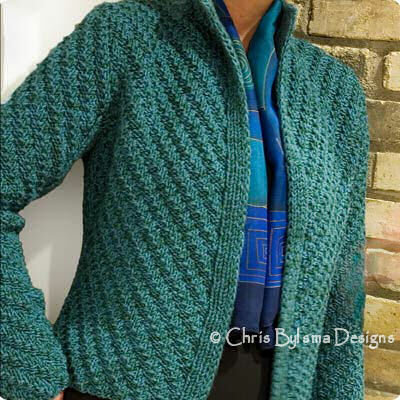 Two yarns, two patterns, in two directions, just too much fun! Create your own classic with your favorite pair of yarns. The jacket’s understated lines and shaping are perfect anywhere, anytime.